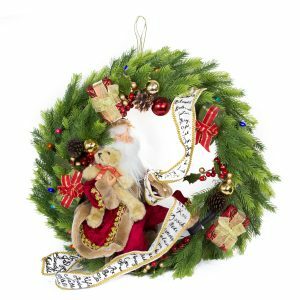 The 25cm Glitter Poinsettia Apple Christmas Wreath will add a touch of prettiness to your Christmas decorations and is an easy and convenient way to deck the halls this holiday. This clever garland echoes the simpler pleasures of the season, and one can’t help but think of new-fallen snow and starry winter nights when they see this stunning garland. This would be lovely on a mantle, front door or centrepiece for your Christmas table. 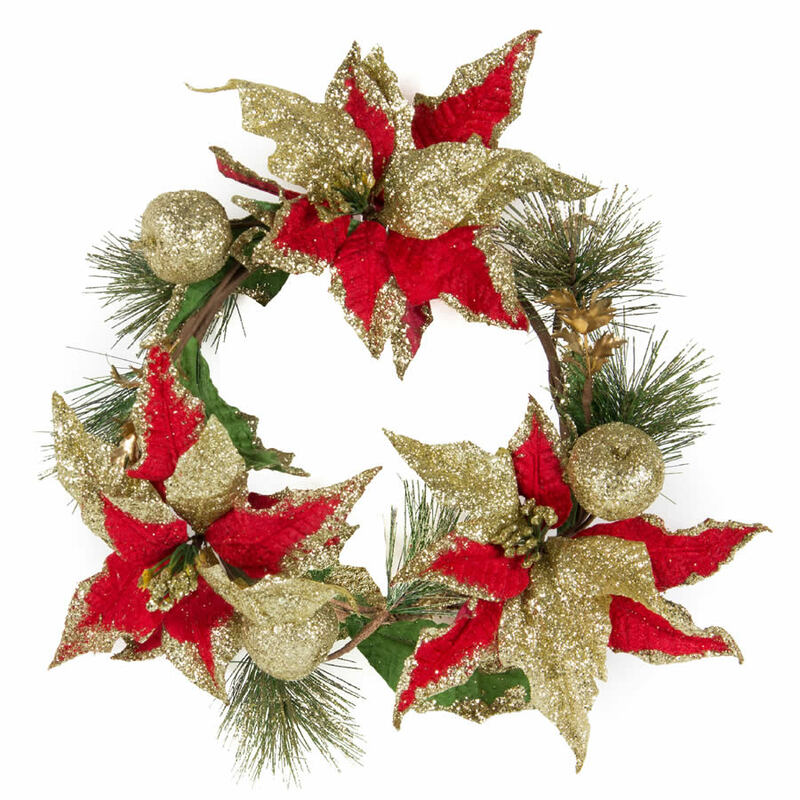 Try using it with a simple green balsam wreath to add colour and interest.